The community has replaced £200 cash which was stolen from an elderly man during a distraction burglary in Burgess Hill. At 1.30pm on March 8, the 94-year-old man answered the door of his home in Leylands Park to an unknown man who claimed to be from the water board, police said. He stayed with the unknown man who turned off the water supply in the kichen. The unknown man then left in a blue Ford Mondeo. After he had gone he noticed £200 had been stolen from his wallet, which had been in the pocket of his jacket in the living room. A Sussex Police spokesman said: “It is believed a second suspect may have entered the property while the victim was distracted and stolen the money. John Wright, chairman of Sussex Neighbourhood Watch, said he was ‘delighted’ funds had been pulled together, which the elderly man now intends to give to his granddaughter. “There is no excuse for taking advantage of elderly or vulnerable residents, and those who commit such crimes should be ashamed of themselves,” he said. 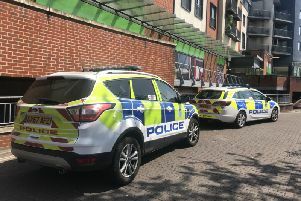 “While this incident has yet to lead to an arrest, we have a very active community in the area who all look out for each other and are encouraged to remain vigilant. The suspect is described as a white man in his 30s, clean shaven, of slim build, wearing a blue denim jacket and a black baseball cap, police said. There is no description of the second suspect, police added. Anyone with any information is asked to report it online or call 101 quoting serial 731 of 08/03. Advice on how to protect yourself from distraction burglary is available online.